Dave Russell has been a working artist and a compulsive writer for nearly most of his life. A person of many interests; Dave is a master motorcycle restorer, former military helicopter pilot, artist ( sent by the Army National Guard to capture the war in Iraq in the summer of 2005), and author. His historical art is in the collections of the US Marine Corps, the National Guard of the United States, the National Museum of Naval Aviation, the Pennsylvania National Guard, and many private owners. He and his wife Karyn have worked extensively for The Franklin Mint, Lenox, Cloverly, and Paralyzed American Veterans. Dave holds an undergraduate degree in painting, and a PhD in American Studies from Penn State University. Dave currently works in Washington D.C. with unmanned aircraft systems. Dave also enjoys literature, theology, teaching art, and playing with old motorcycles in the basement while listening to his favorite radio program, Garrison Keiller’s A Prairie Home Companion. 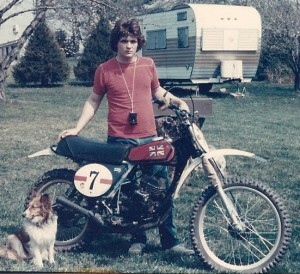 Growing up loving dirt bikes, he developed an interest in the mystique of the Maico motorcycle, and is considered an expert on Maicos specifically, and generally on motorcycle culture in America. Dave will be regularly delivering quality content through the website. 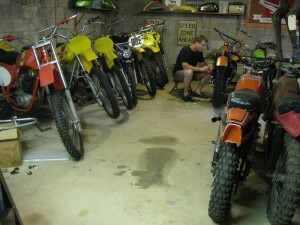 This will include articles, anecdotes, and extracts from his dissertation, A History of Maico Motorcycles and American Sport Motorcycle Culture, 1955-1983. 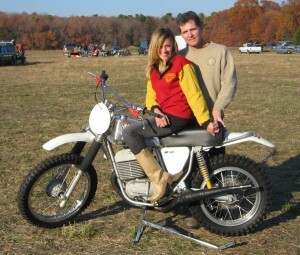 Clearly having not grown up: author playing with old dirt bikes.